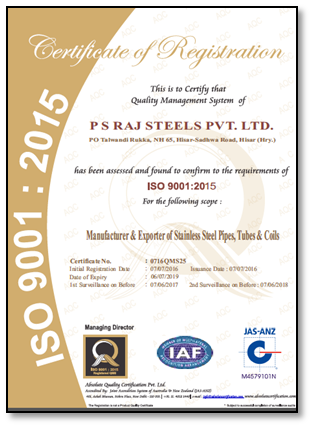 ISO 9001-2015 Company : Because of our excellent services and quality provided all these years to our customers, we have the privilege of being recognized as an ISO 9001 -2015 certified company for QUALITY MANAGEMENT SYSTEM STANDARD. 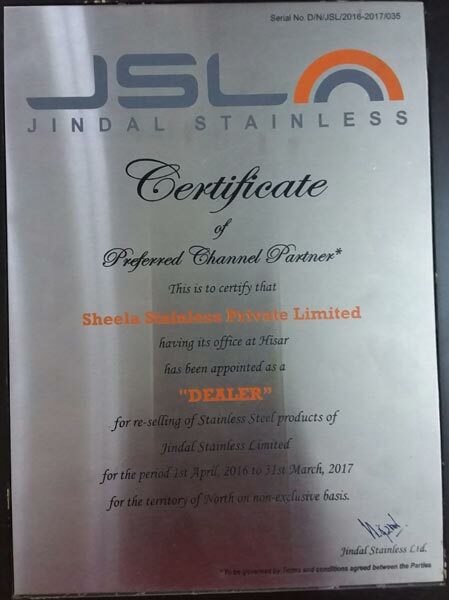 CRISIL RATED Company : PSSR Group has habit to follow international practice that why our company is rated by world renowned rating agency. 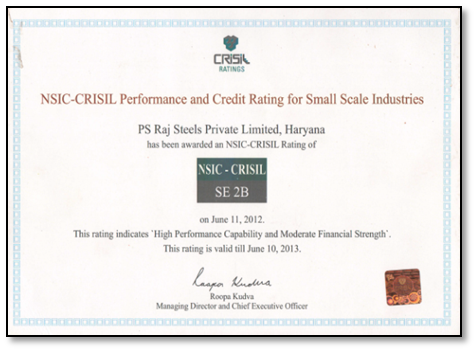 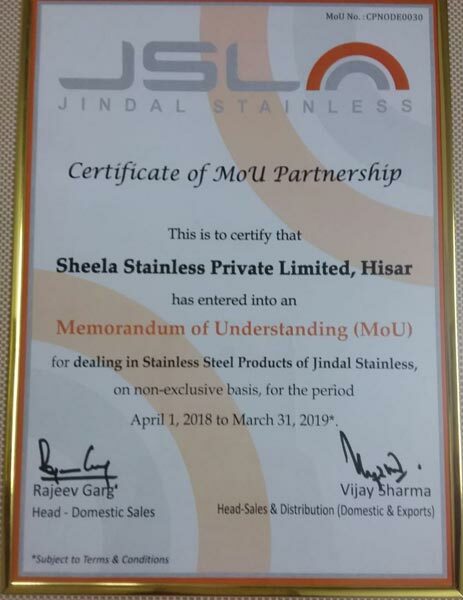 CRISIL has been awarded PS RAJ STEEL PRIVATE LTD a rating of SE-2B. 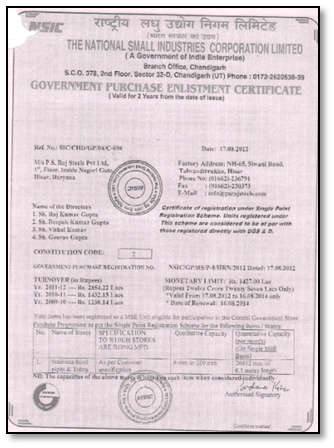 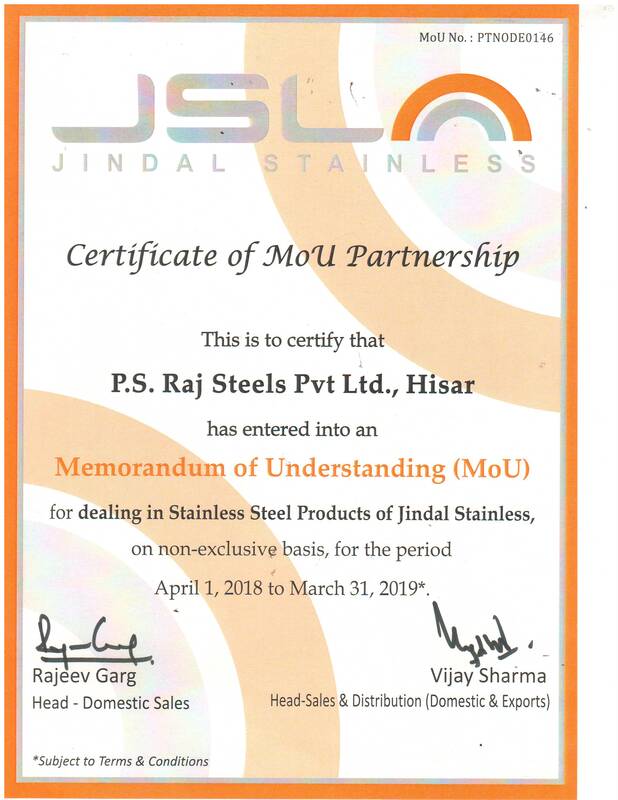 NSIC Registered Company : PS RAJ STEELS PRIVATE LTD is registered under THE NATIONAL SMALL INDUSTRIES CORPORTATION LIMITED. 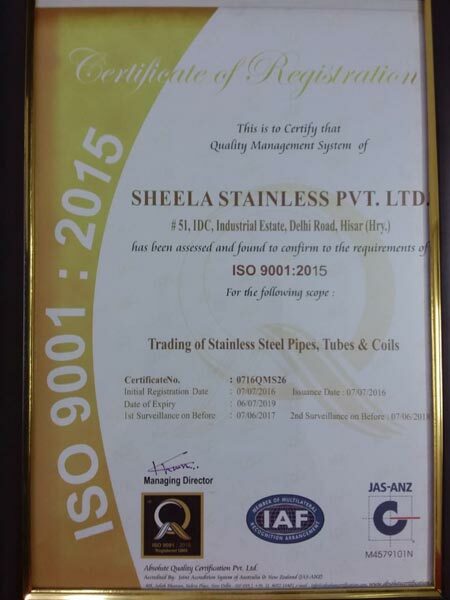 Our manufacturing unit has the privilege of being recognized as at par with those who registered directly with DGS & D.